Member of the Caprifoliaceae (honeysuckle family). Family members include Abelia, Sambucus, Viburnum and Weigela. 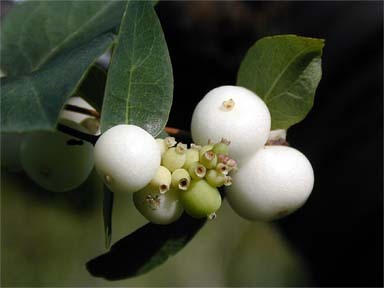 Used mainly for the clusters of white berries along bare, woody stems. From the Greek “symphorein” (bear together) and “karpos” (a fruit), referring to the clustered fruit. Grown mostly for its white berries.